The Seco Apache Bullseye 6 Machine Control Laser Receiver is used as a stand-alone tool with grading and excavating machineries, such as dozers, graders, scrapers and box blades. 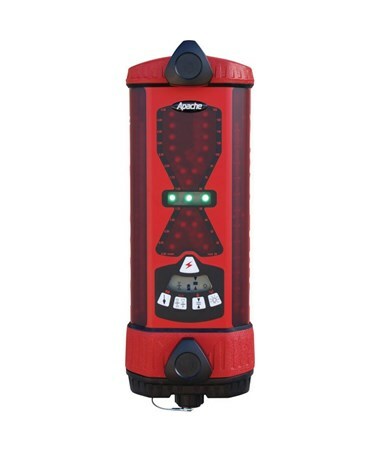 It features a 360-degree reception angle and works with all red-beam rotary laser levels. 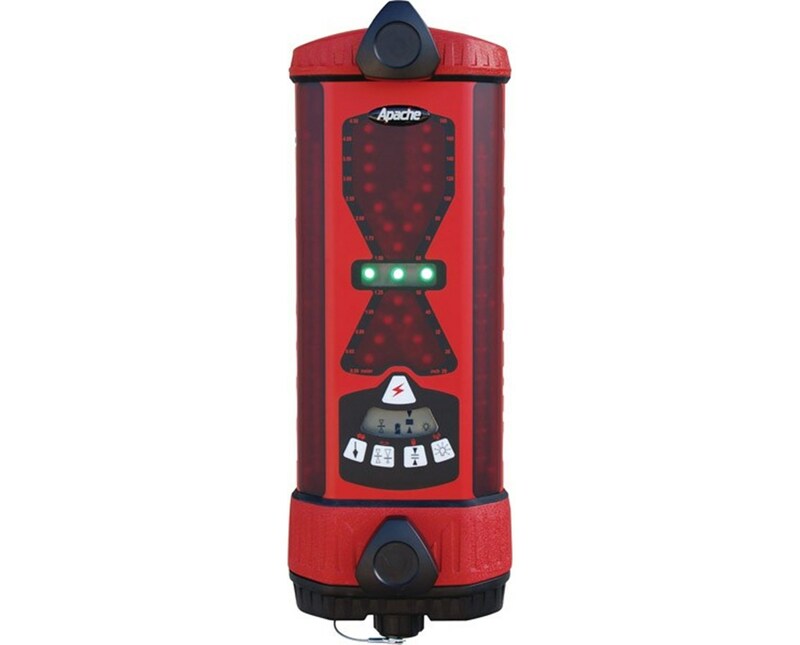 This machine control laser receiver comes with a patented angle compensation indicator that automatically calculates and corrects the grade display for the angle and dipper arm. For quick and accurate grade checking, it includes a built-in plumb indicator. The Bullseye 6 offers four detection accuracies – superfine, fine, medium and coarse. These tolerances help with the job demands from rough grading to final finishing for maximum flexibility. 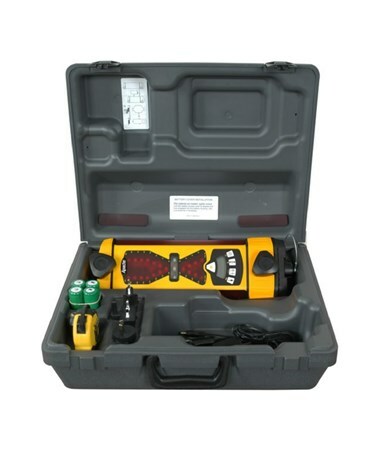 This machine mounted laser detector also includes center and offset on-grade that gives additional above grade information for productive excavation. Also, it comes with eight display channels and an 8.75-inch capture height keeps the laser beam longer. 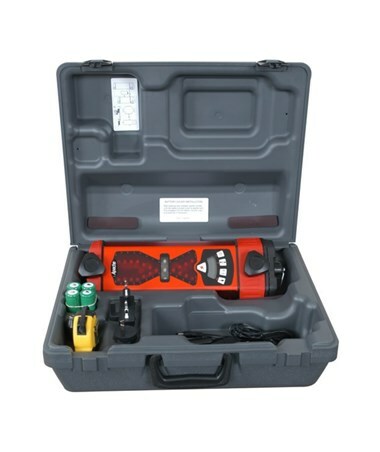 This Seco machine mounted laser receiver also features adjustable, super-bright LED’s and LCD display that provides clear viewing to match ambient lighting conditions. It uses powerful batteries and can run up to 75 hours. It also has an auto shut-off feature that turns the instrument off after 75 minutes of inactivity. In addition, The Bullseye 6 includes large front-facing mounting knobs that allow for quick and hassle-free installation to a round pipe, square tubing, or magnetic mount (not included). The Seco Apache Bullseye 6 Machine Control Laser Receiver offers four models with different batteries and hardware color. All are supported with a two-year manufacturer’s warranty. Please select from the drop-down menu above.